Three decades of conflict in Afghanistan have led to social disruption and underdevelopment, having an especially detrimental effect on the level and quality of education. During Taliban rule, girls were prohibited from attending schools, denying an entire generation of young women this basic right. Access to education is still a problem due to social constraints and economic difficulties, especially for females, streetworking and internally displaced children. Recent literacy statistics for youth aged 15-24 are 49% for males and only 18% for females. Regular public schooling is only 2-3 hours per day. 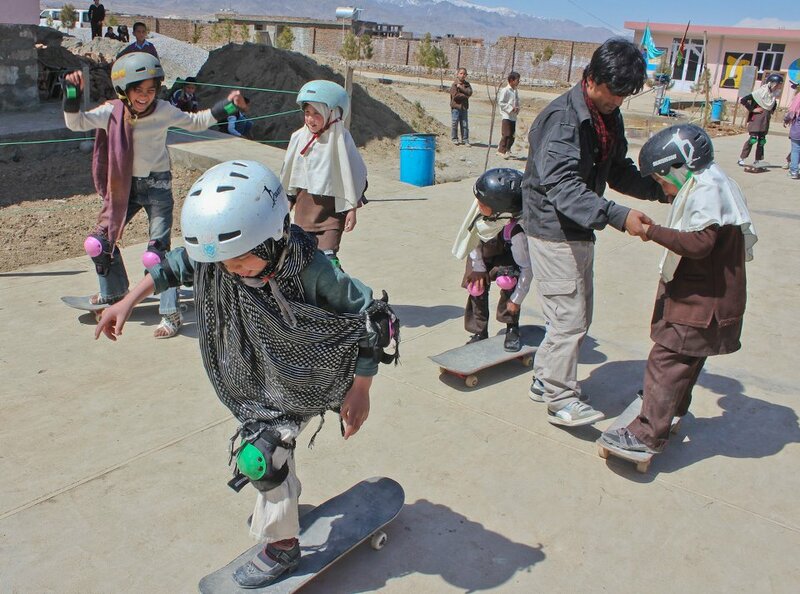 Using skateboarding as a tool for engaging Afghan youth, Skateistan aims to empower girls and boys from all ethnicities, abilities and social classes. Once they come skate there is also the opportunity in classroom time to provide quality education and skills. In Afghanistan, popular sports typically involve violence or competition. Skateboarding is non-competitive and requires minimal supervision and resources. As a new sport in Afghanistan, a special connection and identity is being created among participants from all backgrounds. Most importantly, the absolute novelty of skateboarding in Afghanistan means there are no existing cultural norms preventing girls from participating. 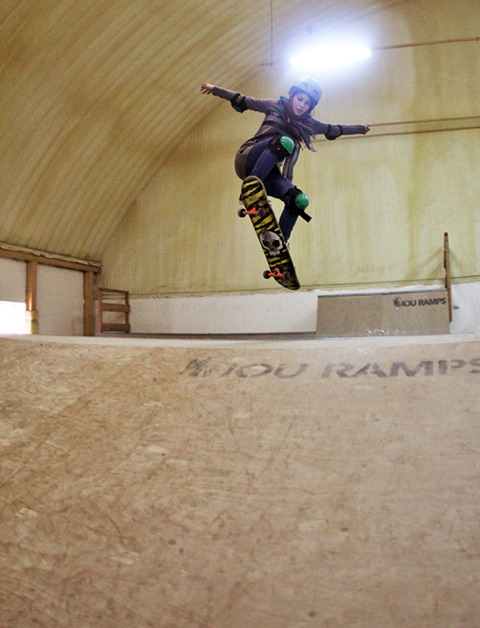 Skateboarding now has the most registered female athletes in Afghanistan.